Published: Jan. 30, 2012 at 03:44 p.m.
INDIANAPOLIS -- I know it's only Monday, but I would like to welcome Indianapolis into the Super Bowl rotation. Honestly, the city has been this remarkable and I'm not sure I've been here for 24 hours yet. In the two-minute walk to the media center today, we passed Lucas Oil Stadium, the baseball home of the Indianapolis Indians, and the Giants' team hotel. On the other side is a vibrant downtown full of restaurants and bars. Any inclement weather is negated by skywalks. And the people are wonderful. Seriously, some lady knitted me a scarf for the week. You know, if I had to do my bachelor party over again, well, I probably wouldn't come here. But the Super Bowl should return. So this speaks to giving other locations a chance at the big game, instead of the typical cast of characters that probably have worn out their Super Bowl welcome. 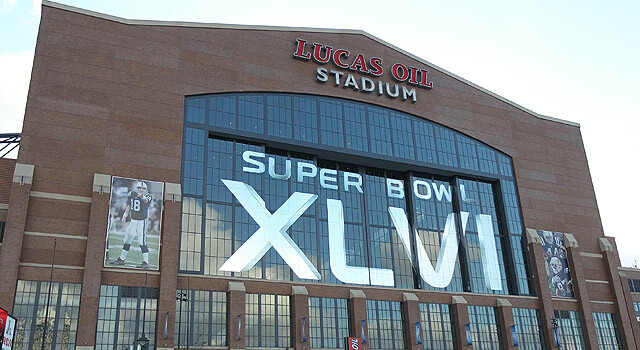 With that in mind, here are six cities which deserve a chance to host the Super Bowl. Of course, I had to leave out Las Vegas because it doesn't have a stadium, and there is a better chance of Walt Coleman signing autographs in Oakland than a Super Bowl in The Meadows. And remember, weather is no longer a consideration because if New York gets an outdoor Super Bowl, all bets are off. A Super Bowl week in LoDo -- the downtown area which houses both Coors Field and the Pepsi Center -- would be excellent. Denver is one of those underrated towns and would make an excellent host. Arrowhead Stadium recently went through renovations, but is often viewed as one of the best stadium atmospheres in the NFL. And Kansas City is a fun town. This one should be higher up on the list. Of all the cities to be listed here, this is probably the most likely to get a Super Bowl. But would they have kickoff time near midnight in the UK? Either way, this is one that needs to happen. Do you think if Chicago got too much snow during its Super Bowl, there would be a repeat of the 1932 NFL championship when weather forced the title game inside Chicago Stadium to be played on an 80-yard field? And would my cholesterol survive a week of Chicago dogs? Seattle is an incredible town and the area around the stadium is made for football. Seattle has some of the best fans and best pregame traditions going. My dream is a stadium to be built in Los Angeles in time for Super Bowl L. And if it doesn't happen, Super Bowl L needs to be played in Green Bay. Even then, Green Bay should find its way into the Super Bowl mix. "Does Vinatieri belong on the list of greatest..."